But what you should know is that a custom designed QR Code attracts much more scans than a plain black-and-white one. 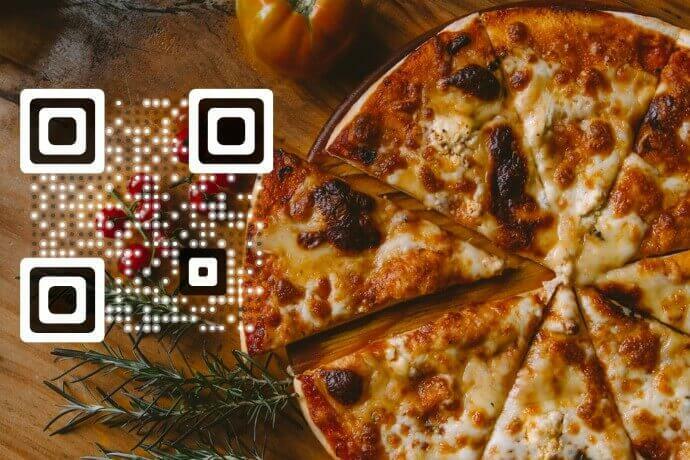 While a black-and-white QR Code is impersonal and generic, a custom QR Code differentiates itself to attract user attention. This is particularly important if your use case of QR Codes is marketing. If your target audience is going to see your print creatives, then the QR Code should stand out as a call-to-action. 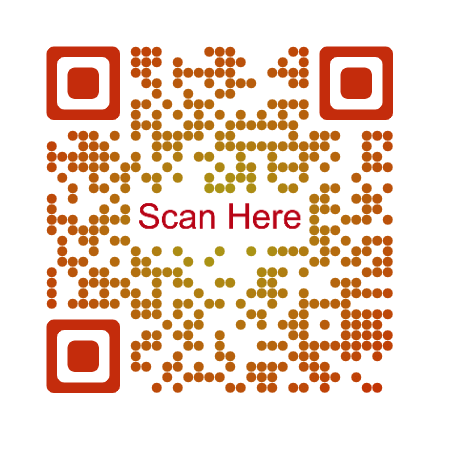 So what you need is a QR Code generator that allows you customize your QR Codes to merge well with your brand graphics. You would’ve already seen QR Codes of this design—having brand logo in the centre. It is the most popular QR Code design. 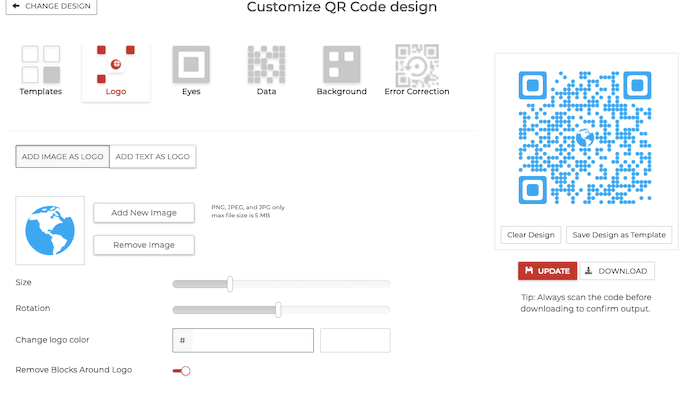 But will adding a logo not interfere with the scannability of your QR Code? Don’t worry. It won’t! Though adding a logo requires a few data modules to be removed from the centre of the QR Code, it still remains scannable. How? This is because QR Codes have the property of error correction. Error correction in a QR Code helps it remain scannable even if it is damaged upto 30%. The level of damage depends upon the level of error correction applied while creating the QR Code: L (7%), M (14%), H (21%), V (30%). Note that you should choose at least level H or V to add a logo to your QR Code. 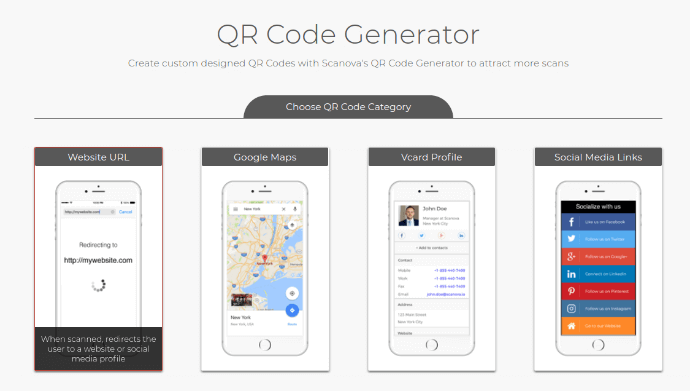 This will ensure high number of rows and columns of data modules in your QR Code and hence, high scannability. You can even add text as a logo to the centre of the QR Code just like adding an image as logo. The text can be anything such as—Scan here, Scan to win, and Scan to RSVP. 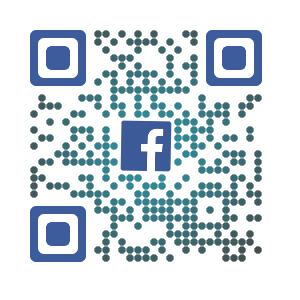 This QR Code design option helps you tell your audience what to do or what to expect after scanning the QR Code. Hence, increases the chances of maximum people scanning your QR Code. If you want QR Code to be merged with your print media creatives, this design is what you need. 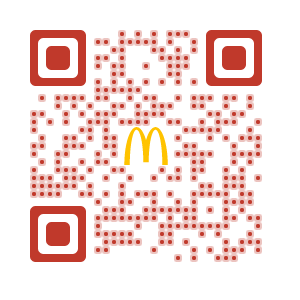 Rather than adding image as a logo in the centre, you can add it as a background image of your QR Code. As no data modules are removed in this design, you can keep error correction level as L or M. So your QR Code can have lesser number of rows and columns of data modules. The downside of using this design is that your QR Code elements will be black-and-white while the background image will be colored. This means that you can not add your brand colors to the QR Code in this design. 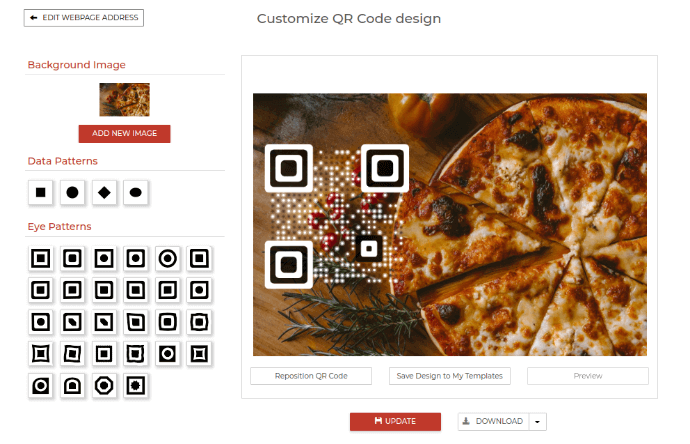 You’ll find many online QR Code generators that claim to provide free QR Codes. But only a few provide high-quality custom designing capabilities. 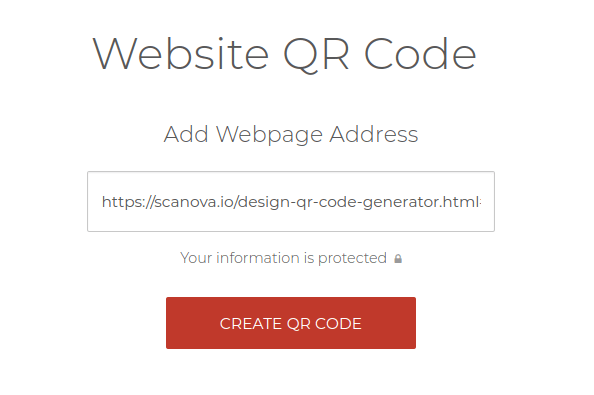 Since Scanova QR Code generator offers both QR Code designs, we will be using Scanova in our step-by-step guide. Click this option to add text as logo. Here you can change the text box size, change color and font of the text along with options such as bold and italics. 6. Once you sign-up, you’ll be able to download your QR Code image in the size and format you need: SVG, PNG, JPG, etc. It is advisable that you download the image in vector format (SVG, EPS) if you want to add your QR Code in print material. Always make sure that you scan the QR Code with a QR Code scanning application before printing it on your campaign material. Note that it is always better to create a dynamic QR Code. 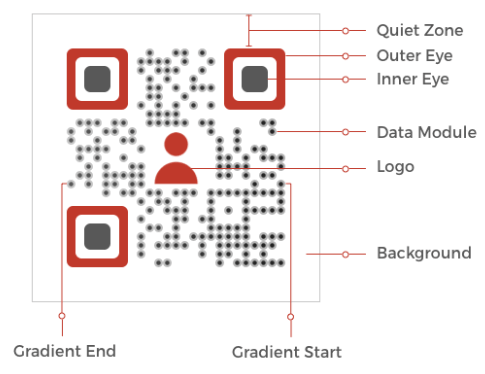 A dynamic QR Code is both editable and trackable. Hence, it will allow you change the logo or background image of your QR Code whenever you want. 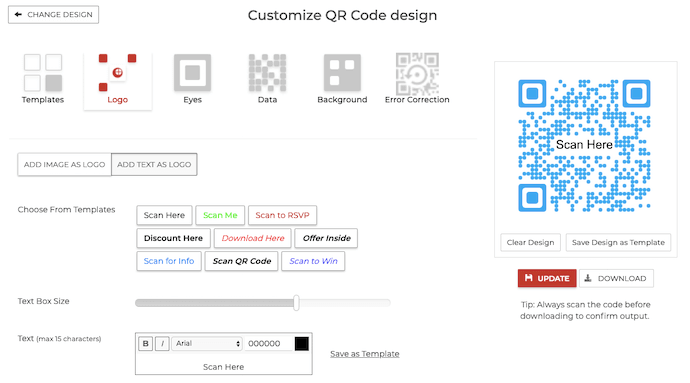 That’s all you need know on how to make a custom QR Code. 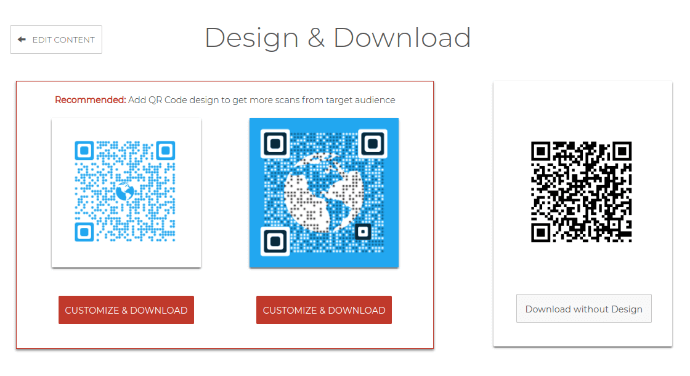 A custom QR Code attracts users to help you get maximum number of scans. If you still have any queries, feel free to ask them in the comments section below.